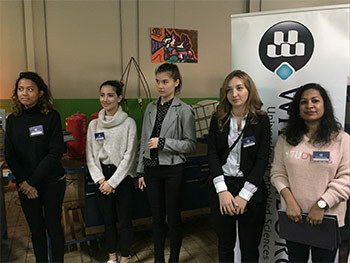 Students from Wittenborg had the unique opportunity to meet a range of business people at a recently held conference of the education sector, ICT and manufacturing industry. 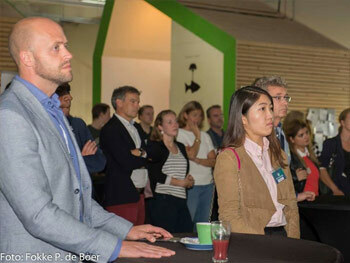 The event was co-organised by Wittenborg University of Applied Sciences, together with other institutes of higher education in Apeldoorn, highlighting to companies the benefits of working with education institutes in the region. The other institutes are Saxion University of Applied Sciences and ROC Aventus. 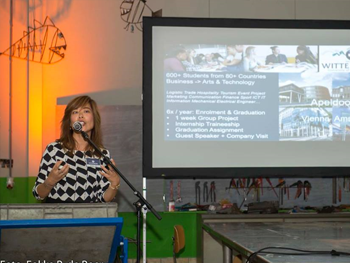 Wittenborg CEO, Maggie Feng, was also one of the speakers. The event took place at Area 055 in Apeldoorn. It is pegged on the idea that in Smart Industry technology and manufacturing are closely intertwined. Therefore a new approach to business, ideas and innovation is required. Wittenborg students who attended said it was a highly valuable experience. One of them was Nino Nemsadze from Georgia, who said: “I had an opportunity to speak with people from different industries. Most of them were specialised in IT and technological innovations. Also, there were representatives from recruitment companies with whom I had discussions about the difficulties of finding an internship in the Apeldoorn area. Sandeep Gupta from India said: “It was an honour to meet kingpins from different businesses during the event. It was really a great learning and knowledge-sharing opportunity. “During the discussion, one common thing which came up with almost everyone whom I met, regarded my choice to select the Netherlands as a destination and specifically Wittenborg University for my studies. As an answer, I highlighted the course I am pursuing at our esteemed university, and how this relates to my work experience, adding value to my career.